The Legacy Circle was established in late 2018 to encourage and recognize those who have graciously included Divine Redeemer in their will, estate plan, or other planned giving program (“Legacy Gift”). 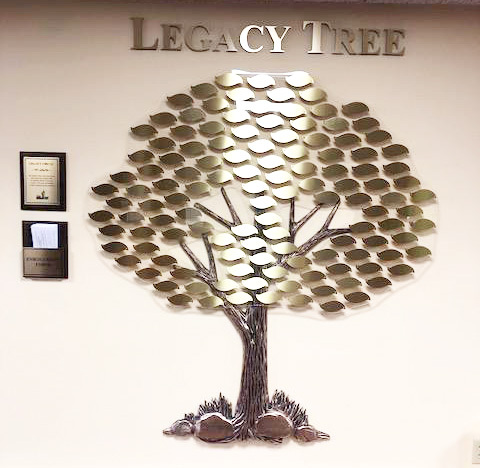 A Legacy Tree display in the church narthex will include the names of individuals/families and anonymous enrollees in the Legacy Circle. The enrollment process involves a simple one page form and no other documentation or description of the Legacy Gift is required. There is no minimum size requirement for the future gift. The enrollment form includes a checkbox to indicate that the enrollee does not wish to have their name displayed and will instead appear on the Legacy Tree as anonymous. Enrollment Forms are available next to the Legacy Tree, from the church office, and as a downloadable PDF.